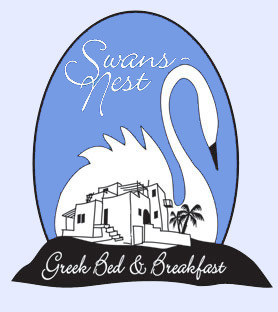 Swans-Nest has five rooms to provide a variety of convenience in a secluded environment. Roses, olive trees and pomegranates decorate the garden and terraces. The private pool serves as an alternative to local beaches. Separate terraces add space and seclusion to the accomodations. Information on each room's specific accomadations can be found by clicking on the pictures below.